It’s so strange to hear rock music anymore. Metal, for the most part, has moved far into the extreme, while rock music has moved far into the corporate, “MTV” world. 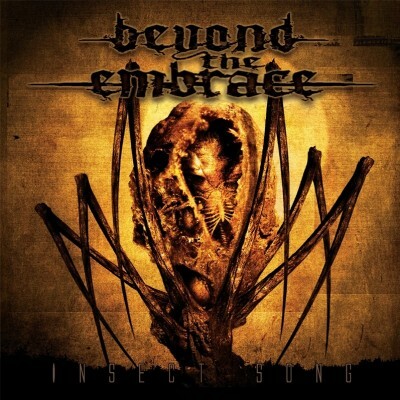 Beyond the Embrace’s album Insect Song is a rock/metal hybrid, although they are much more metal than they are rock. The singer brings the rock element with a gruff, bluesy style of singing, while the music is pretty much planted in a classic metal sound, merging classic metal harmonies (Iron Maiden definitely comes to mind) with a more Swedish inspired approach. The singing and music, at times, meet in the middle with sort of a metalcore feel. I wish the guitarists would do more three-part harmony stuff and utilize all three guitarists. I’m sure having three guitarists works well live, but I think they should have used three distinct guitar parts more during the recording of Insect Song. Overall this is pretty good. My interest waned a few times throughout the album, but for the most part, this isn’t bad. This review originally appeared in Written in Blood, September 2004, Issue 189.